Martinsville Speedway Event Preview - Ray Black Jr.
Ray Black, Jr., driver of the No. 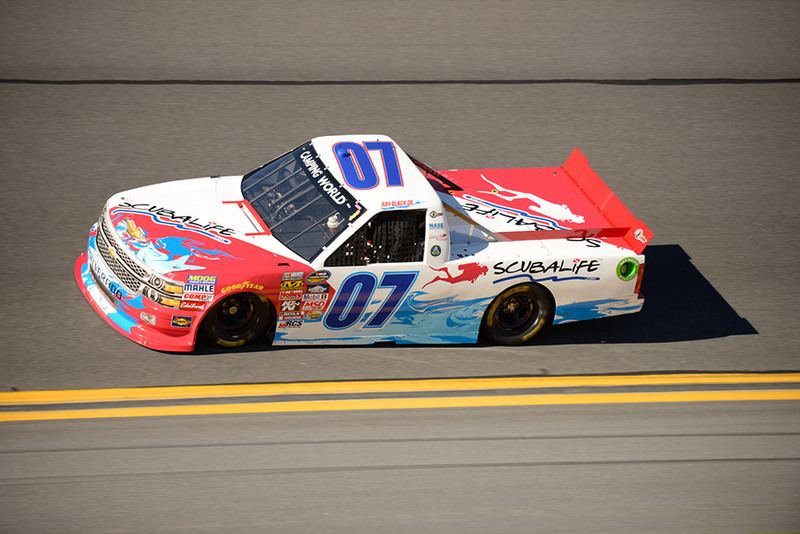 07 ScubaLife Chevrolet will make his second NASCAR Camping World Truck Series (NCWTS) start at Martinsville (Va.) Speedway on Saturday afternoon. Black made his series debut at the historic short track in March 2014, where he started in the 29th position and raced to a 24th-place finish in his first-ever NCWTS race.